VIP ExecuCAR Chauffeur & Airport Transportation a Finest generation of executive travel is located in the heart of Boca Raton Florida 33428, 1-844-FL-LIMOS. 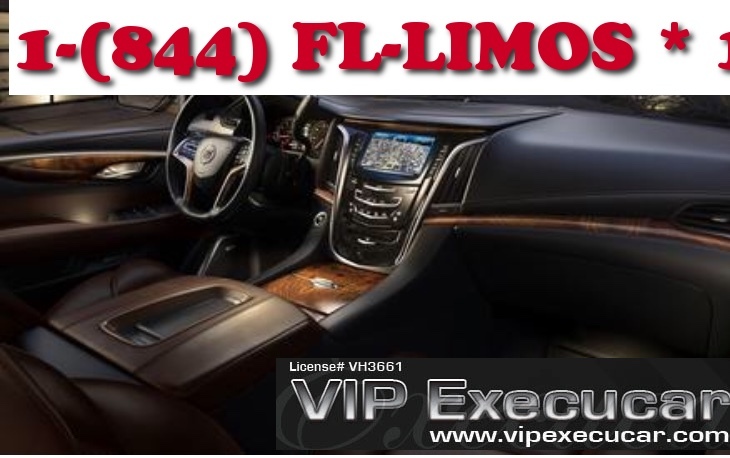 Our convenient booking process takes few minutes including online reservations system and 24-hour reservation for any luxury Cadillac Limousine .We provide Boca Raton Birthday Limo Service, Birthday Party Limo,Affordable Party Limos, Party Bus Rental, Luxury Car Service designed for executive business travelers services by means of luxury Airport transportation to/from MIA, SUV Limo , Party Bus, Mini Coaches,Executive SUV Cadillac Escalade, Cadillac Super-stretch Limo, Miami Town Car service,Luxury Car Service,Limo Buses, Party Bus & Limo rental,Charter Bus Rental,Executive Car Service, Luxury Premium Sedans,Black TOWN-CAR, child seat limo services,Luxury Travel Service and other late-model livery vehicles. Ask us about our Miami Cruise Terminal transfer, Airport pickup and dropoff, Transportation Services to airports, wedding, proms, Hourly rates car services for special occasions, Competitive rates,luxury transportation to and from the Port Everglades, Port Of Palm Beach, Port of Miami,Executive Bus rental, Economy Passenger Van, private luxury Sedan, Airport Shuttle Bus,Hummer Limo rental, Private Shuttle Service, Medium Size Mini Van-Sprinter, Sedan rental and,private airport car service Destinations in Florida, Palm Beach County West Palm Beach, Broward County Fort Lauderdale, Miami-Dade County , Indian River County Vero Beach, Monroe County, Fort Myers, Key West, Hillsborough County transfers to and from the Tampa passenger ship terminals in Tampa Bay, and Orange County Orlando. Are you coming for a Miami Cruise Port Vacation? Before you rent a Party Bus you must read this article. 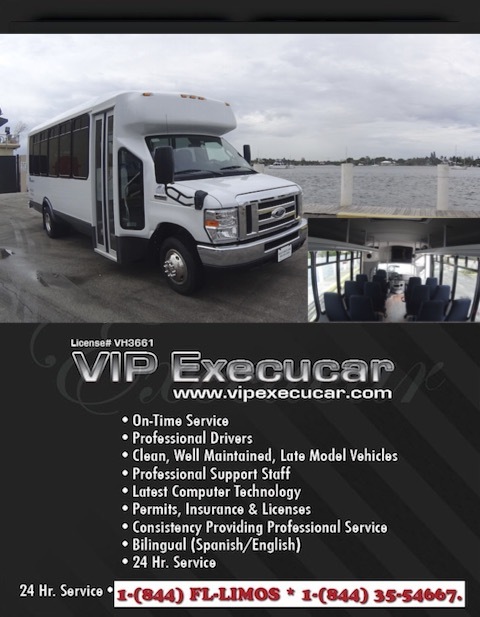 You can rent the Best Party Bus Rental in Miami from VIP EXECUCAR you can rest assured that safety is our top priorities. Before hiring, do not hesitate to ask questions relating to their safety record, what make and model and year is the limousine?,insurance, experience and work permits. 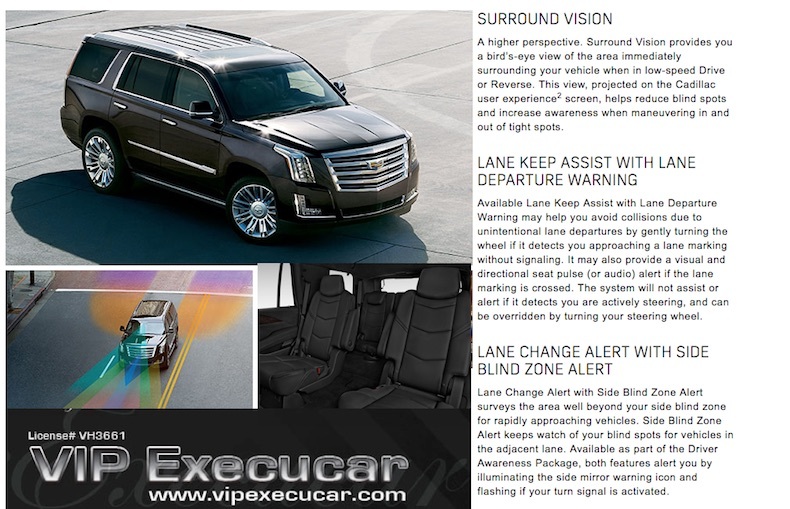 If your going a long way away from home or just arround the state of Florida, you must choose a Brand New 2018 Limousine that offer best Safety Rated SUV Limo of 2018, and our best safe family SUV Cadillac Escalde Limousine provides surround vision, new forward collision,blind spot warning system, automatic wipers, a Bose® sound system, heated-cooler front seats,keyless starting,panoramic sunroof,leather upholstery, heated steering wheel,and lane change alert.You really don’t want to end-up renting a limo service that has a poor safety record, driver with not experience driving people, and no insurance. VIP ExecuCAR delivering professional, safe, Affordable, Confort,luxury and first class private chauffeur services, you can find professional with extensive experience you meet any need, from designated drivers for a night out to personal chauffeurs for events or errand. Whether you need last minute night airport pick-ups, Business trip or just a ride to Football game or doctor's appointment and back to the Seaport, our Executive Professional Chauffeurs provide a chauffeur experience on the confort of our own fleet at reasonoble prices. How much does it cost to rent a limo for 4 hours? Mercedes Bens S550 3 passengers. $120 per hour, BOOK ON LINE TODAY! Executive SUV 6 passengers Luxury SUV limo Rental $85 per hour - 3 hours minimum,BOOK ON LINE TODAY! 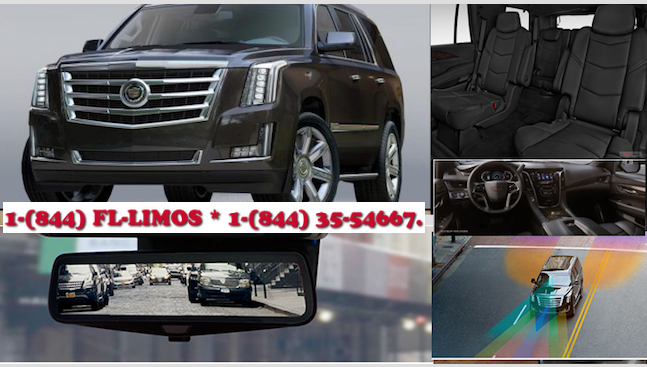 Cadillac Luxury SUV 6 Passenger Escalade SUV ESV Rental $125 per hour - 3 hours minimum, BOOK ON LINE TODAY! Sprinter Party Limo 10 to 14 Passenger Party Bus rental $125 per hour - 5 hours minimum, BOOK ON LINE TODAY! 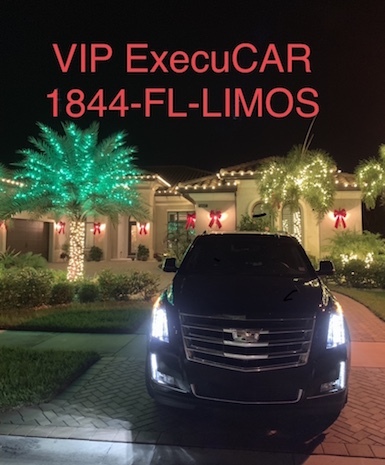 Vip ExecuCAR South Florida has a full line of compact and full-sized cars, SUVs,Limos for rent, Miami Airport Strech Limousine service, Airport car service, Cheap Car Rentals,airport hourly, airport shuttle service Miami is Reliable and affordable is our forte. We are the Best and unique Private License Car Limo services for Personal Chauffeur for you car, bachelor party bus,Luxury Party Bus Rental, and Charter Bus Service in Palm Beach,Florida Atlantic University, Naples, Lauderdale-By-The-Sea,Key West,Miami Beach in every Canadian province (Toronto) with over licensed professional, prompt, courteous driver with over One Millions miles accident free driving experience for all over USA and Canada. Group Travel Services in Florida- Providing Luxury bus Limousine, party bus from Miami Beach to West Palm Beach and Fort Lauderdale to Naples and we provide Airport Transportation , Limo & Car Service To Port Of Miami, West Palm Beach, Orlando, Naples and Fort Lauderdale as well we have provided safe and reliable school transportation to students of Miami Beach, Broward and Palm Beach. You can request a Free Quote for airport car service, Fort Fort Lauderdale Charter Bus service from the airport, bus to West Palm Beach Airport to Fort Lauderdale, shuttle from Fort Lauderdale to West Palm Beach, West Palm Beach car service airport to Sanford Airport, Sanford provides SUV's Sedan Airport transportation as well cheapest Black Car service and Airport limo from Orlando Sanford International Airport.We provide professional transportation to all areas of Manhattan NYC, Los Angeles,Tampa, Pensacola, Clearwater, Jacksonville including Port Of Tampa, Fort Lauderdale, Port Everglades, Miami, Mulberry, Naples and more. How much doest it cost to rent a Limousine or SUV'S or elegant sedan going to the Airport? Varies from city to city and depends upon the kind of vehicle you will need. Save big and rent a full size SUV with great prices and unbeatable rates in Boca Raton to Port Canaveral,Palm Beach, West Boca Raton FL, Fort Lauderdale and surrounding areas can enjoy the convenience of having a professional limousine chauffeur to your Miami cruise ship! The Fort Lauderdale-Hollywood International Airport and Private Ground Cruise Transfers to Port Everglades or Port of Miami.Port Of Palm Beach, Cruise Connection Bus, Transportation to Pier/Airport Carnival cruises can take you to West Palm Beach, Stuart to Tampa, Miami Hotel, South Beach City Tours Limo Transfers,Miami City Tour,funeral limousine service,private home in South FL, as well other FLL flight information, FLL flight arrivals, FLL flight departures and cruise ship transfer.Vip ExecuCAR offers Reliable, professional, affordable Van Transportation to/from Miami International Airport, Private Port of Miami,Miami MIA Airport, Book Coco Plum Cay, Palm Beach Executive airport and best tourist buses. Travel Tip: Transfers from Port Everglades to the Airport (MIA) or getting to Miami Bus Motor Coach you need to Call us now to receive a quote for our West Palm Beach, Boca Raton Charter Bus Limo service 1-561-208-3831 or make a request for a price quote. 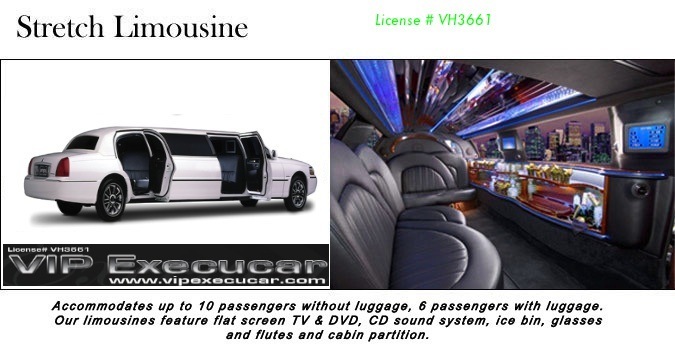 Not sure what limousine transportation company to choose? 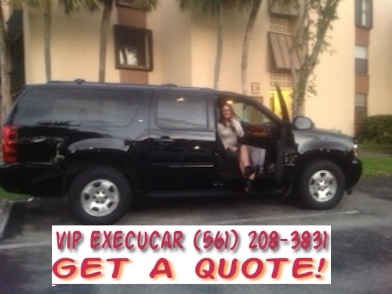 Vip Execucar is a South Florida Limousine company that holds permits and licenses necessary to operate in State of Florida. 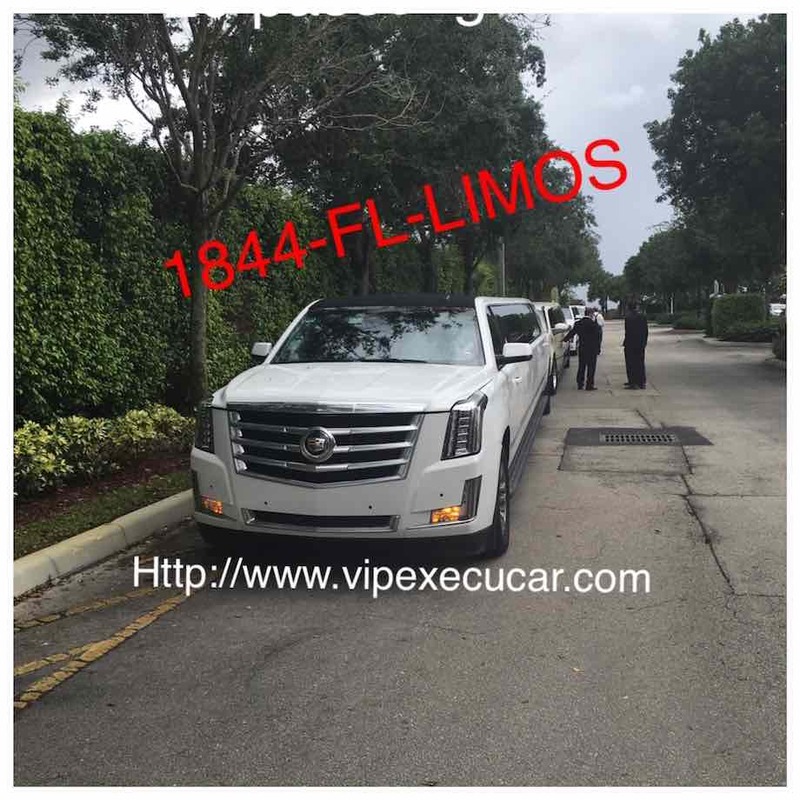 VIP EXECUCAR For-Hire Limousine Service License compliance with the regulations of the Palm Beach County, Miami International Airport :: MDAD Permit and Broward County!. We are the Best and unique Private Car transfers for Personal Chauffeur for you car, reliable Limousine and Florida Shuttle service in Downtown Mizner Park, Florida that takes great pride in customer service. Our Boca shuttle van service, bachelor party bus,Luxury Party Bus Rental, and Charter Bus Service in Palm Beach, Boca Raton, Naples, Fort Lauderdale, Miami in every Canadian province (Toronto) with over One Millions miles accident free driving for all over USA and Canada. Group Travel Services in Florida- Providing Luxury bus Limousine, party bus from Miami Beach to West Palm Beach and Fort Lauderdale to Naples and we provide Airport Black Car Transportation, Limo & Car Service To and from Miami, West Palm Beach, Orlando, Transportation and Airport Services in Naples and Fort Lauderdale as well we have provided safe and reliable school limousine rental to students of Miami Beach, Broward and Palm Beach. 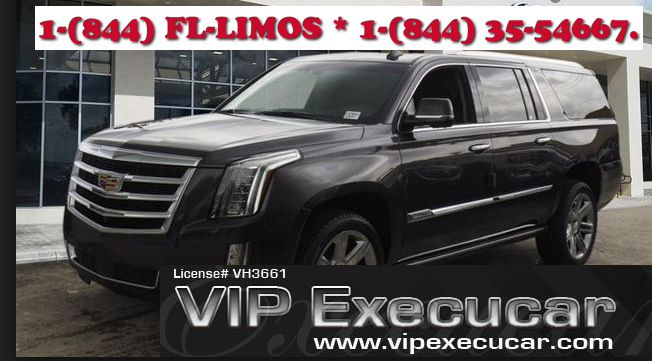 You can request a Free Quote Fort Cadillac Escalade Limos in Fort Lauderdale from airport, bus from West Palm Beach Airport to Fort Lauderdale, shuttle from Fort Lauderdale to West Palm Beach, West Palm Beach chauffeured car services to Sanford Airport, Sanford provides SUV's Sedan Airport-Seaport transfers as well Cars and Airport limo from Orlando Sanford International Airport. 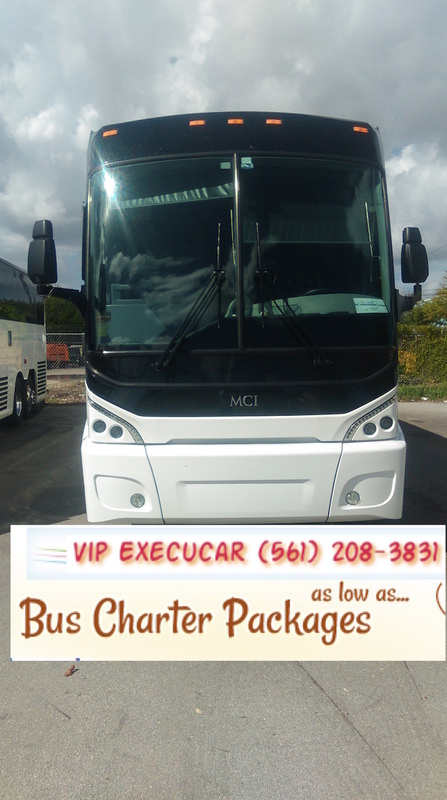 We provide professional charter bus to all areas of Manhattn NYC, Los Angeles,Tampa, Pensacola, Clearwater, Jacksonville including Port Of Tampa, Fort Lauderdale, Port Everglades, Miami, Mulberry, Naples and more. Do you have a Broward County Chauffeur's Permit (Hack License)? A valida Florida commercial driver license authorize to drive in FLORIDA (Sec 322.032,F.S). 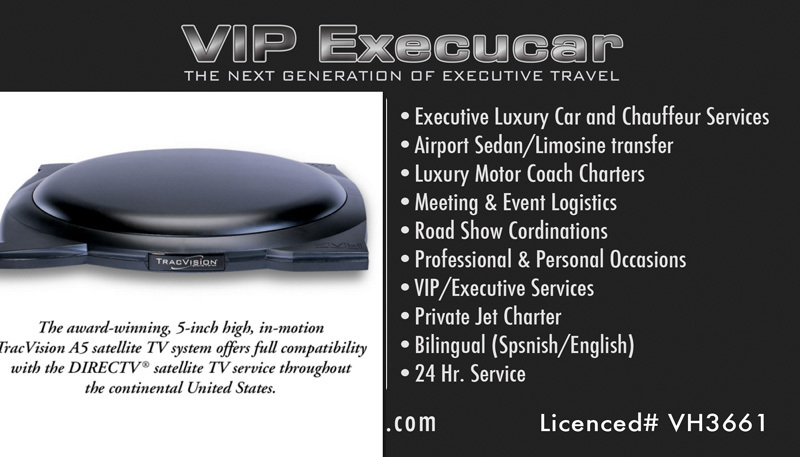 Vip Execucar provide our clients with chauffeurs with (CDL)" A" License with more than 1.6 million miles traveling experience in the USA and Canada, so can sit back and enjoy the ride safely. 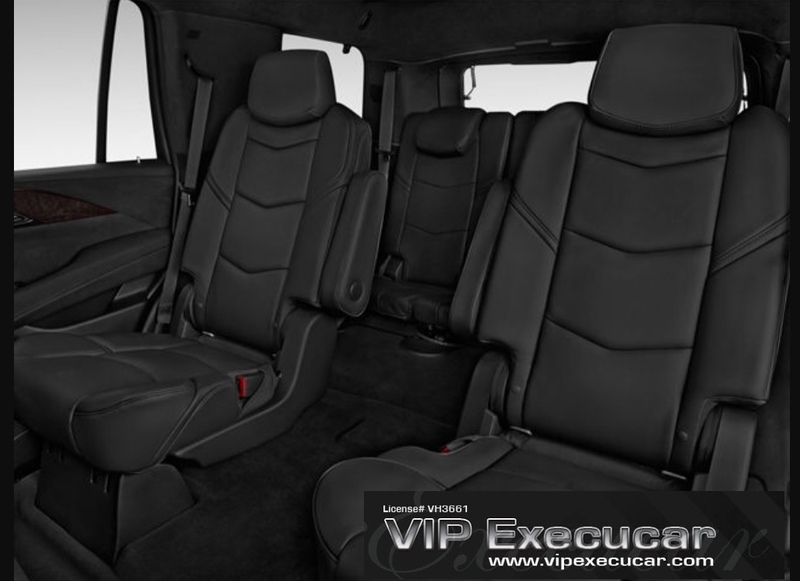 How reliable is VIP EXECUCAR Airport Limousine Transportation Service? 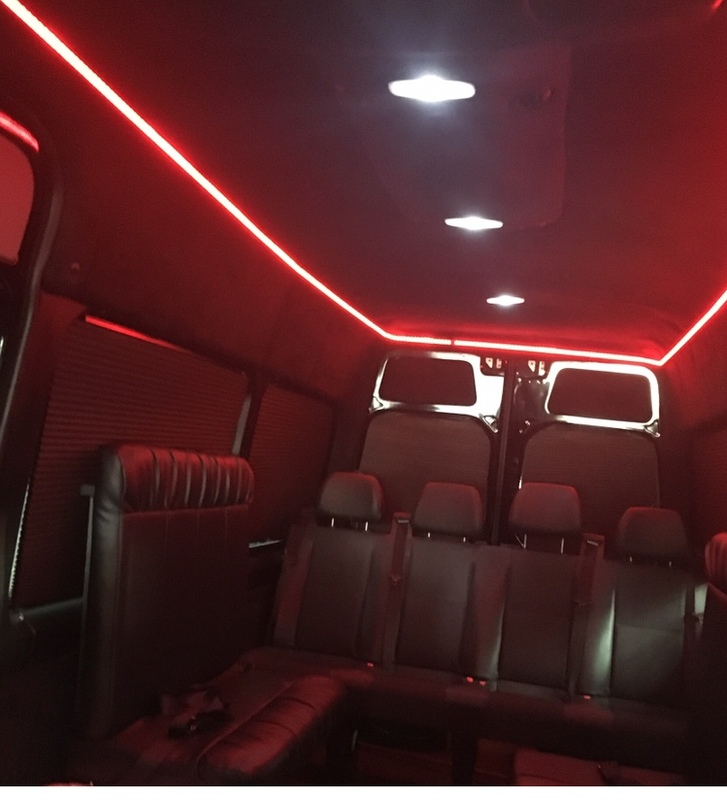 VIP Execucar offers Brand New Mercedes Benz Sprinter Luxury party Bus for weddings, proms with Apple TV, TrackVision, Screen TV' with Direct-TV Satellite, iPod hoop-up and, laser lights. Our Chauffeurs are 1st Class CDL with more than 1 Million miles driving safety record. Our Brand New Mercedes Benz Sprinter are fitted with the latest technology, Blind Spot, Apple TV so that you can listen to your favorite Football game live, listen to your favorite music, you can stay entertained for a long rides. Our Chauffeurs are on Time, Anywhere at any time. A full service luxury ground transportation company. Don't get scammed when renting a limousine! 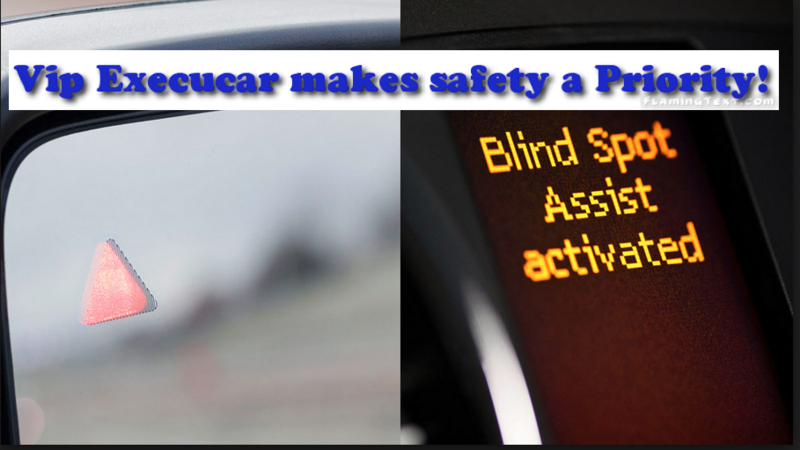 We hired a licensed chauffeur professional limo driver for your safety when you travel with VIP ExecuCAR. Reserve an airport shuttle or black car to and from FLL/MIA or around town! professionally trained and attired Chauffeur. You're probably wondering which company to hire as you Local South Florida car service provider, or out State or International comany. Prom/Birthday/Anniversary/Airport Limo rental/Special party/Wedding/Bachelor(ette) party Limo : Looking for trustworthy professional trained and attired Chauffeur Airport Company, in Central Florida ?. If you are traveling and need Transportation for a Family vacation, School trips group, civic organizations,sport team, you can Book one of our inexpensive Charter Bus limo, 15 person Mini-Bus, Benz Sprinter, as well Affordable Senior Travelers Car Transfers, we help transport dialysis patients,Special Discount Senior Taxi Service,Luxury Bus rental, chauffeured car rental Online by email serving in Orlando, West Palm Beach, Fort Lauderdale and Miami FL by calling to VIP Execucar Florida Charter Service. Looking to travel in a youth group, Church/School Rentals, daycare or University Outings for a day trip or weekend? 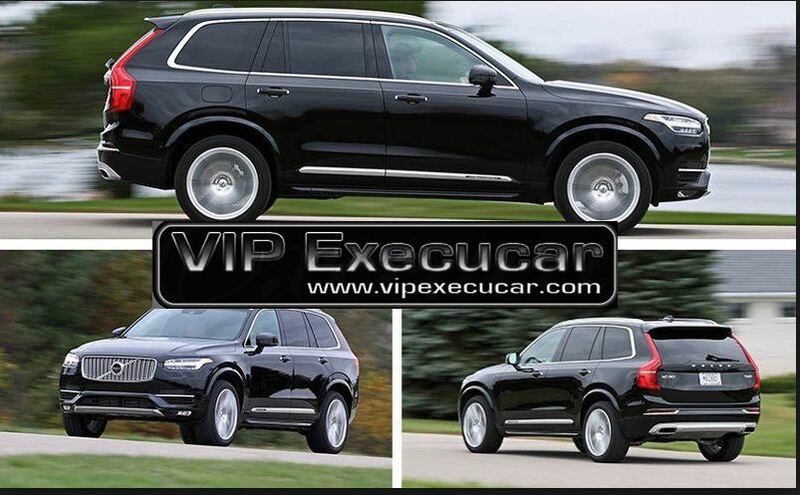 We are open 24/7.Travel in style with amazing NEW 2015 models from 11, 15, 54 seats with VIP Execucar. What makes us different from other luxury Florida shuttle companies is that we are completely committed to our customers. Mercedes Benz Sprinter Limousine , Vip Execucar is proud to offer 6,11,15 passenger Mercedes Benz Sprinter Limo Bus and School Bus, Mini-coaches, Bus Rental, and new 2015 generation Sprinter Black Coaches Limo to Fort Lauderdale, Miami and West Palm Beach and from Orlando International Airport, Naples International Airport, Key West Airport with Vip Execucar Party Bus. 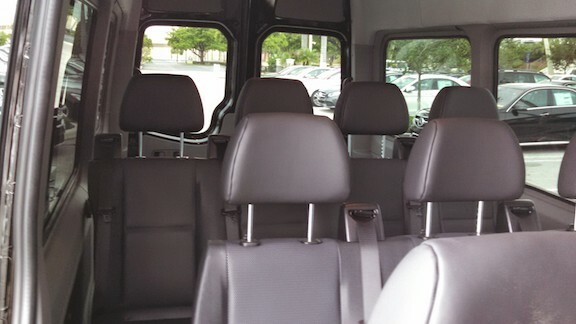 Need to Rent a Passenger Van or Luxury Coaches for your next Sunrise Panthers sporting game? Vip Execucar Mercedes Benz provides a unique limousine rental in one Tour Party Bus Sprinter to the Florida Panthers Hockey Club (NHL) and the BB&T. 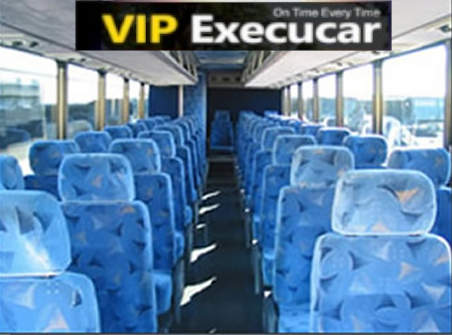 VIP Execucar Specialize in Miami Tours Trips, Key West Tours, Orlando Tours, Vacations packages, Hard Rock Casino Tours,Private Transportation Tours, between Cruise Lines at Port Canaveral from Orlando International airport, Boca Beach Club Deals,Cheap Shuttle transportation to Port Canaveral and back,Transfers from Fort Lauderdale, Transportation from Port Everglades,Bar/Bat Mitzvah Venues of Orlando-Kissimmee Bar/Bat Mitzvah, find Wedding Transportation in Orlando,West Palm Beach, Miami, Fort Lauderdale the experts for wedding parties, Limos for rent, Bridal Showers Limos in Coral Gables Limo Rent , Private Events Party Bus in Miami Beach for rent to Key West. 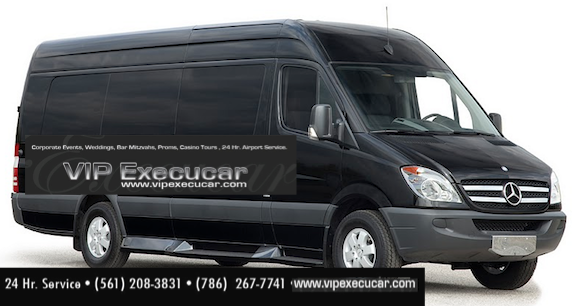 VIP Execucar Airport transportation 1-844-FL-LIMOS provide Unique SAFE and relaxed stretch limo to your destination, our 2015 Sprinter 12 & 15 Passenger Transportation Van Rental In Fort Lauderdale FL by Mercedes Benz Bus Limo has alway been a class-leading van on Prevention Assist, Bi-Xenon Headlamps w/add Light Cornering, lane Keep Assist, best safety technology Active Safety Plus Package w/Partronic, include a collision warning, leather seats,blind-spot detection, and lane-departure warning; if you're looking to hire a Chauffeured transportation company ask about the age of their fleet, has the newest in technology including in their limo fleet? You want to make sure that you rent a Limousine that's is large enough to cater to all of your guest in one vehicle. 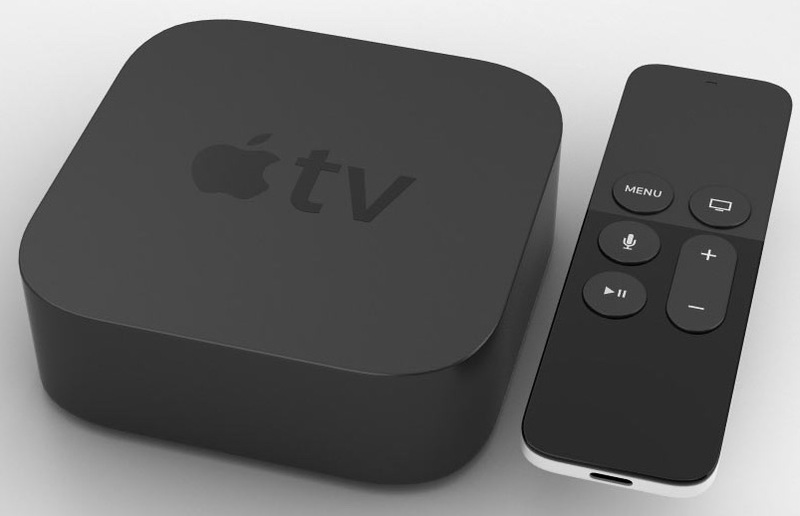 VIP ExecuCAR Sprinter Party Bus, have DIRECTV® SATELLITE IN MOTION StaTe-of-the art Television, Apple TV®, in Vehicles from a High end custom CEO Van conversions, call to get more information about VIP EXECUCAR Party Bus rental with live TV. Luxury Sprinter-VAN offer the most front-passenger room in the Van/SUV segment; with 170 WB high Roof, a passenger van with space from 9 to 15 occupants,outlets at every seat,Black Tinted windows, plug you laptop and browse the web with our on-board WiFI,TrackVision Satellite TV bringing live entertainment to groups on the go. Town Car Service Fort Lauderdale Luxury Limousines, Airport transfers in our Luxury Business Class Sedan Service Fort Lauderdale,all South Florida area with new VIP ExecuCAR 6,15 and 54 passengers limousines,private car transportation to or From Miami International Airport, Fort Lauderdale Shuttle & Limo Transfers,PBI Airport Car Service West Palm Beach,Affordable Car Chauffeur Services and private Van Fort Lauderdale, corporate car service events Broward FT, Luxury Limousine Service in Fort Lauderdale ,car service to airport, prom limousines and party bus rentals, party hummer limo, Super-Stretch Fort Lauderdale cheap shuttle service, stretch Hummer or a night out on the town ( Don't drink and drive Call VIP EXECUCAR)in or around the Fort Lauderdale, Miami and West Palm Beach and from Orlando International Airport, Davie,Naples International Airport, Key West Airport with Vip Execucar 5 Reviews of Fort Lauderdale Shuttle & Limo Transfers. 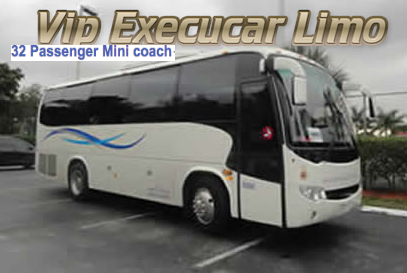 Bus Charter & Rental Companies: Bus routes from Orlando to Miami from $45.00 per person, Car service rates from Boca Raton Airport, Boca Raton Airport Limo rates,we have group discounts to Tampa, Disney Word Orlando, Port Canaveral, Tallahassee and connections services from the Hotel, Airports and Int Drive & Disney. We provided safe and reliable school transportation, Senior Citizen, as well Prom Limousine rental services, Miami Van Rentals,MIA Airport sedan transportation and airport rides for less to and from Miami Int Airport,and black stretch Hummer limos for prom night to our customer in Orlando International Airport, Fort Lauderdale, Haverhill,Naples Airport Shuttle, Port St Lucie, Miami Executive International airport, business travelers,shuttle Bus, private van charter,casinos trips, hotels, and you can rent a Charter, a Motor Coach, Mini-Coach, Van, or Shuttle bus for business traveler or group tours than can be accommodate 4,30,39,50 and 56 passengers in one tour bus. When is time to go to see your favorite game or team coming up consider using a VIP EXECUCAR cheap Sporting Event Transportation services for American Airlines Arena Events Miami , "Events BB&T Center", Museum of Contemporary Art North Miami, Miami arena Sports Complex, Broward Center of the Performing Arts & Events, NSU Art Museum Fort Lauderdale, Performing Cultura Arts Theatre (PCAT) Broward Colleges south Campus, Orchestra Tours,Cruzan Amphitheater in Palm Beach and Naples current Events. Parties, To Cruise Port, Christmas, NEW Years, Night on the Town,Weddings,Corporate transfers and Party Tours transportation company to get you there in style with our Luxury VIP Concert Limo Service!". Fort Lauderdale Limo to Miami Heat | Ft. Lauderdale to Miami Heat Game Limo Service | South Florida Miami Heat Van Sprinter Service | Home U.S Soccer | Soccer in the Florida Keys | Fort Lauderdale Strickers | Miami Heat Limousine | Rent Limo to the Miami Heat Game | Limousine Transportation to Fl Panthers Hockey Game. Are you looking for Limousine Company? Take a Look at all Our Party Buses, perfect to go out for all your night nightly outing, Funeral,Last minute reservation,Church or Civic Groups -Rent a clean vehicle, prom service,comfortable transportation for your next travelers, business, politicians,celebrities in Hallandale, Hallandale Beach, Hollywood, Dania, Dania Beach, North Fort Lauderdale, FL as well Wellington town car service in Wellington, Ocean Ridge, Lantana, Pinecrest,Juno Beach, Miami Beach,West Palm Beach FL, Miami LAKES,Lake Worth, or Delray Beach all you can party 20,30,40 and 54 passenger Motor Coach or Mini-bus? If so, click here for a town-car limo in FL or from PBI Airport. 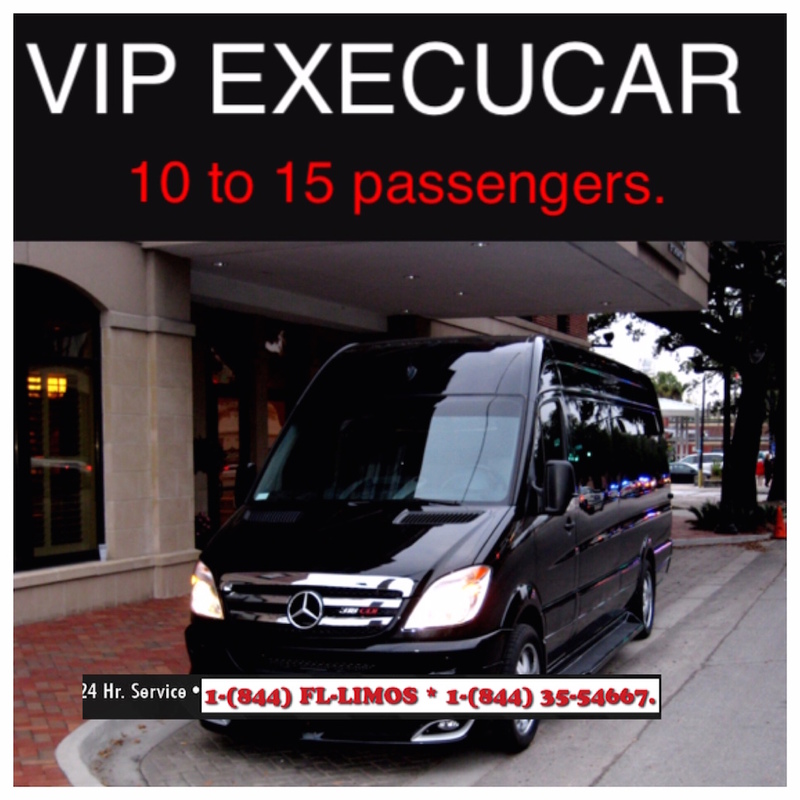 VIP Execucar is the premier luxury airport sedan transfers serving group ground rides for West Palm Beach (PBI), Fort Lauderdale (FLL), Miami (MIA). We have the best and most affordable West Palm Beach airport rates to all the mayor West Palm Beach airports. Palm Beach Town Car & Limousine service offers 24/7 days Palm Beach Hummer Limo service and sedan service for West Palm Beach Fl and all South Fl towns & Airports, more comfortable and clean than a taxicab and more cost-effective. Official site of Vip Execucar Lincoln Town Cars.Rely on Vip Execucar Town Car Service for the ultimate in reliable, professional chauffeur, SENIOR CITIZEN Services, Lincoln Town car services and luxurious group travel services.Town car, charter bus services in Biscayne Gardens and Key Biscayne is elegant, dependable, fast and affordable limo service Key Biscayne prices.We Provide Airport Transportation, Limo and Car service to and from Miami Airport , Hialeah Gardens,Miami Gardens, Aventura Mall, Brickell, Coral Gables,and SUV Limo service prices Less thanTaxi-Shuttle, Private Hire, Driver, and much more. Field trips & Sport Bus rental, Student Bus rentals can be book with our luxury Bus Field or Sporting Events transportation, get a free quote and learn How to Charter buses for all your trip needs, charter bus trips/rentals to anywhere in South Florida, Fort Lauderdale ,Cloud Lake,Gulf Stream, Miami and West Palm Beach Specialty Charter Mini-Bus deluxe Charter Bus interior 39 passengers. For Airport Limousine and car service Vip Execucar is your single source for private black town car to/from airport in South Florida. Miami 24/365 Airport Limo offer Miami limo services, corporate car transfers, black car service, Miami Limousine flat rates to Fort Lauderdale, West Palm Beach and Naples.Vip Execucar provides exceptional SUV black airport transportation (from/to any Airport in USA), (City to City) , five-star limousine and formal chauffeur service in Miami area. 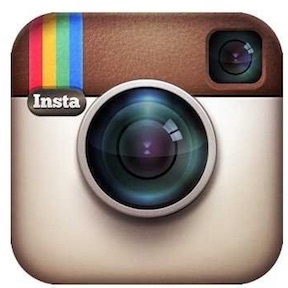 Find Limousine Service To and From Miami International Airport "MIA". Compare prices for party bus and rentals in Miami, FL. Book online or call 561-208-3831.Featuring Ground Transportation Service by Vip Execucar Limos, TownCars, Hummer, Shuttle Vans and Party Charter. Are you looking for Information about airport shuttle bus, chauffeurs, stretch SUV's? Let Vip Execucar 24/7 pick you up from your home, office, or hotel and take you to and from "PBI" Airport to destination , we are open 24/7 airport service. 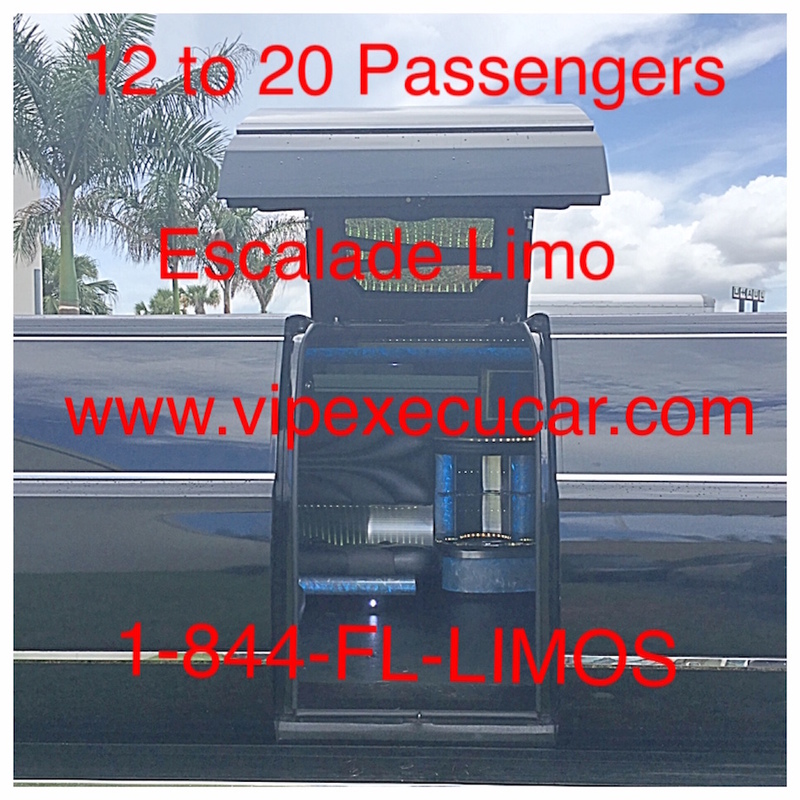 Do you want to hire one of the most reliable limo companies in West Palm Beach? Are you looking for a company that can offer you an airport shuttle service? You found the right LIMOUSINE company, said good by to the other Limo Comp; enjoy 24/365 days door to door,Orlando to Miami, transportation from Miami, Port Canaveral To Miami,Orlando Miami bus,Miami Port Everglades,airport car transfers, and private chauffeured sedan services. Reviews, Reservations and Fares from Palm Beach International airport for SUV's, Van, private car limo can be made at VIP Execucar 24/365 days open. VIP Execucar Airport Shuttle transfer and Chauffeured Car Services: Offers finest Fort Lauderdale Ground Shuttle Service to FLL provided by VIP EXECUCAR Finest shuttle door to door ,Car Services to and from the airport, medical, veterans and military spouses and personal drivers in Fort Lauderdale, Group Shuttle Boca Raton, Miami, Naples Airport Shuttle Vans; whether you want to get to/from train station or you have a special meeting or just want to have us Airport Chauffeur transportation for the day you are at right place. Boca Raton Car Service is a South Florida Airport based Chauffeur Transportation service provider. We are premier private Luxury Black sedan company South Florida offers private airport transfers, chauffeur wedding car hire,airport pick-ups and guide private car Tours in Palm Beach, Fort Lauderdale, Parkland, Lake Park,Tequesta, Golf, South Bay,Miami Gardens, Hialeah Gardens,Key West, IslaMorada,Jupiter, Marathon, Orlando, Naples and Vero Bech, personal chauffeured car services as well home of the best shuttle service of Westwood Lakes, Westview, West Perrine, West Little River, Virginia Gardens, University Park, Three Lakes, Hammocks , The hammocks and nearby suburbs of Miami Shores, Pinewood, Medley, Leisure City and more. MCO - Orlando International Airport shuttle transfers offers nonstop service to/from Palm Beach to Boca Raton,FL: Rent a party Bus in Boca Beach Club has never been easier!. 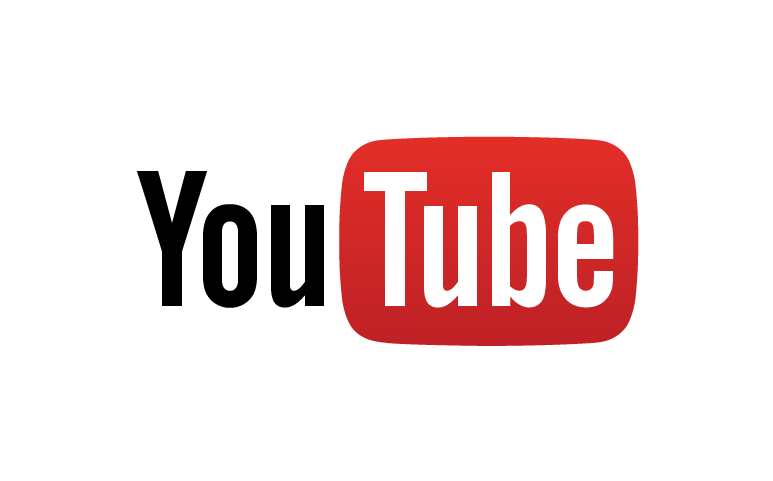 Click to See our Top Party Bus in BocaRaton FL Best Party Bus Boca Raton FL to go anywhere. Compare prices for party bus and limousine rentals in Boca Beach Club A Waldorf Astoria Resort, West Boca offer outstanding class Black car sedan services at competitive prices for Lake Worth, Palm Beach Gardens, Fort Pierce, Palm City and Jupiter. We are available 24/7 to provide a quality Airport Black Car service, SUV, Luxury Sedan and charter bus,we are serving in West Palm Beach Airport, Fort Lauderdale, Miami, Vero Beach and any green Airports in South Florida. We are committed to provident excellent West Palm Beach and Palm Beach car services, transportation services and customer service. Also offer our Luxury Town Car Service customers special rates for wedding limos,Shuttle, prom, bachelor party, bachelorette party, birthday party or anniversary for Boca Raton, Fort Lauderdale, Jupiter Inlet Colony,Broward County, Miami, Dade County and Palm Beach County and Indian River County (VERO BEACH). Enjoy all of Boca Raton, Miami, Fort Lauderdale, Pembroke Pines Limo Service and West Palm Beach Limousine by booking a reservation at our web side . We specialize in Elegant Lincoln Town cars, Airport transfer, Limousines Rental,Car Service airport, Hammer Limo, Mercedes-Benz, Luxury SUV Suburban 2013, Party Bus Limo,Cadillac Escalate, and many other exclusive cars! Rent an elegant car today. Searching for coupon codes and discounts for Party Buses in Boynton Beach, FL? Ride to the Airport in Style with Boynton Beach Limousine & private sedan our Boynton Beach airport ride transfers for less make travel easier than ever. 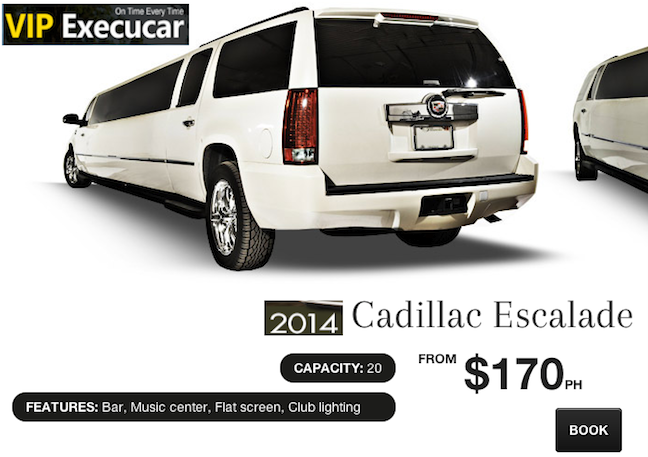 Shop for Affordable Party Buses 8 to 14 Passengers on VIP ExeCUCAR. Luxury party limousine services are available everyday, 24 hours 365 day to any airport destination. Get a quote within seconds on any of our available luxury vehicles for the day and time that you wish to make the reservation, you can select a vehicle for hire and have us take you from Boynton Beach to Palm beach International airport "PBI". Choose from any of your choices, small group, cheap party buses for birthdays,charter buses, or Hire Black Sedan to celebrate a birthday, wedding, corporate event, or anniversary just to name a few. We can provide you with pick up and drop off service from Palm Beach International Airport to Boynton Beach and take you to your destination with our professional chauffeur service. When it comes to Exotic Car Airport Transfer & Black Sedan Service West Palm Beach turn to Vip Execucar for safety, reliability and exceptional driving services. Call our Airport car service in Boca Raton to ask about our affordable airport rates, top of the line vehicles. We have the best locations such as Miami International Airport "MIA",Palm Beach International Airport "PBI," Hollywood Fort Lauderdale International Airport, Key West Sedan, Key West Airport Shuttles, Vero Beach Airport, Port of Everglades and Port of Miami. Ft Lauderdale Port Everglades, A Waldorf Astoria Resort Boca, Palm Beach International Airport (PBI). Limousine luxury sedan service for private Jet Centers and many South Florida's port cities. Naples and Cape Coral Limo service and luxury Suburban SUV rental provides for prom, birthday parties, wedding and Naples airport transportation as well Fort Lauderdale private Airport Towncar hire sedan services. Reliable Group Ground Transport service for private transportation. Fort Lauderdale Limo & Car Services Rental: For airport transportation Fort Lauderdale travelers prefer Vip Execucar Private Car Services. Fort Lauderdale Exclusive Car service provides the best airport car rental service:Boca Raton, Milton Manors, Sunrise, Deerfield Beach, Plantation, Coral Springs,Miami and West Palm Beach and Airports with dependable world class limo service.Broward FLL Luxury Shuttle Service welcomes the opportunity to provide you with the premier car service, travel in style to your destination in the late model luxury sedan. Limousine Car services rental from Coconut Creek , Fort Lauderdale, Juno Beach Chauffeur Transportation,Cooper City and West Palm Beach is cheaper than taxi.At Fort Lauderdale limousine service, we provide the ultimate in luxury transportation for FLL FT.We Provide private black car Airport to/from Coco Plum Beach & Tennis Club, Limo & Car Service To and from any South Florida Airport. Limousine Rental: Get a free quotes, compare prices for Corporate Van rentals, airport sedan rentals, weddings, parties in Naples Southwest Ranches, Car Service near Coco Plum,Dania and Davie including transfer service to and from Orlando to Miami Airports and popular destinations within the greater Palm beach are,for a chauffeured transportation from point to point or by the hour. We Provide Airport Transportation, Car & Limo Service: We are conveniently located few minutes from Fort Lauderdale-Hollywood International airport providing fleets of luxury cars, Van Limo, SUV's and Charter Buses to meet any of your ground transportations needs. Chauffeured ground transportation from point to point or by the hour to and from destinations in the Tri-County Area, Miami-Dade, Broward, and Palm Beach County. Hire a Limousine : Travel around Lauderhill, West Park and Lauderdale Lakes florida in style and con-ford when to hire VIP Execucar Executive transport Car Services for you business, airport or Wedding service. Luxury Group Travel Services in Florida- Providing luxury sedans, super-stretch limo from Palm Beach to West Palm and Miami to Aventura. Airport Car services in Miami Beach offers airport car service to/from Miami Beach to Palm Beach covering the coastal cities of Fisher Island, Aventura, Hollywood, South Miami Beach, Downtown Miami, Ball Barbour, Indian Creek, Sunny Isles Beach, Golden Beach, Hollywood Beach, Fort Lauderdale, Hallandale,Hillsboro Beach, Boca Raton, Highland Beach, Delray Beach, Coral Gables, Ocean Ridge, Manalapan, Palm Beach, Singer Island, West Palm Beach International airport "PBI", Miami International airport "MIA" and Jupiter.Looking for a Miami Chauffeur Luxury Car Service? We provide private chauffeur services to/from South Miami Beach to Broward County Florida. Whether You Need FL Airport Transfer Information Or Airport Pickup Services for Fort Lauderdale, We Provide Meet & Greet Fort Lauderdale Hollywood Transfer And Fort Lauderdale door to door service. Providing an outstanding transportation experience is important to us, but safety is our #1 priority. We have an impeccable safety rating with local and State standard regulations. We're also approved by Department of transportation passenger carrier. Being an approved limos carrier requires us to maintain stricter safety policies compared to sharing companies.We meet or exceed all Federal Department of Transportation in South Florida. Don't risk your safety, and the safety of your family by hiring a company with no licenses, not experience or commercial insurance, Vip Execucar hire drivers with a Commercial Driver Licenses (CDL), FREE from Alcohol or Drugs, driving-related convictions in the last seven years (e.g. hit-and-run, felonies involving a vehicle),to operate a our Vehicle fleet. Weston Car Service: Riding in style is standard at Weston car limo service, Weston Luxury Cadillac SUV's rentals, and especially in places as downtown Weston City Hall Royal Palm Boulevard, Weston City, FL 33326, Doral Car Sedan Service or Deerfield Beach, you will not regret choosing our top of the line Sedan car service. Weston TownCar service used Lincoln Luxury Limo Car, Limo, sedan, passenger van shuttle (10 Pax), bus and car transport services for Weston Florida and Weston SUV Suburban provides luxury Airport transportation service in Cooper City, Palm Beach and Riviera Beach. Vipexecucar Executive Town Car provides the most reliable sedan taxi and airport shuttle service in Sawgrass Recreation Park, Emerald States Park, Jupiter, ParkLand and Delray Beach area. Why use a taxi service when you can ride in luxury and style with Vipexecucar transportation for less? Selecting an Executive Car Service? 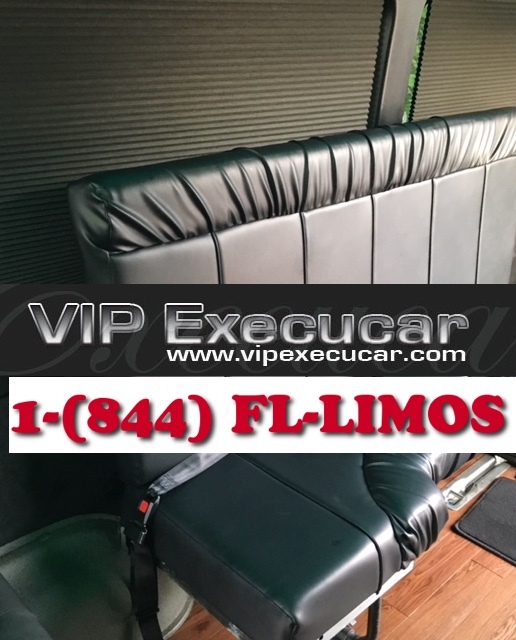 : VIP Execucar Executive car service is a full-service Boynton Beach sedan service Boynton Beach and all South Florida Executive Transportation. Doral Limo service specialize in all aspects of ground transportation, Lincoln Town Car and strive to deliver the highest quality of service to our customers. Luxury vehicles-South Florida in Weston is the fines in the ultimate in luxurious car transport. Find Sedan Lincoln Town Car, buses, chauffeurs and more in West palm Beach, Florida There are many wonderful corporate transport companies and VIP stretch limousines service in Lake Worth, West Palm Beach VIP stretch SUV services in Intracoastal Waterway Palm Beach, Florida. For Airport Shuttle & Executive car service Vipexecucar is your best source for rental ground transportation to/from West Palm Beach, Boca Raton and Miami.Travel around in West Palm (PBI) with our exotic sedan to Miami (MIA), Ft Lauderdale (FLL) with our private sedan service. 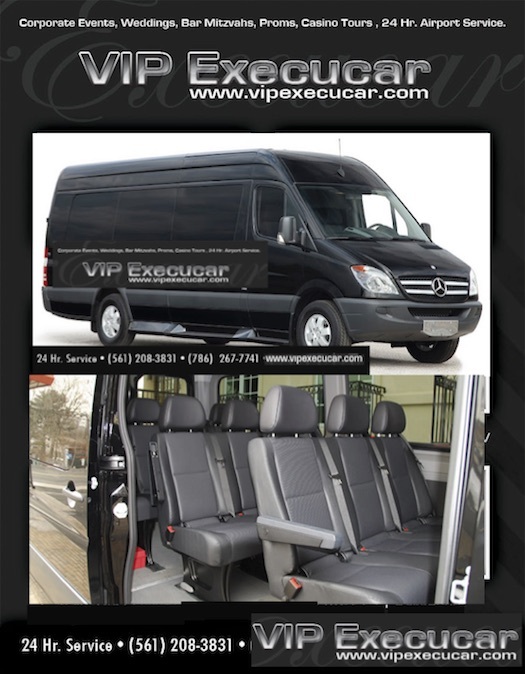 Vip-Execucar Corporate Sprinter Van Limo Service offers Worldwide Airport Transport Service from Any South Florida airport, Luxury Charter Bus, Car service, shuttle private car , Limo Buses service in the South Florida regions that includes all this locations , Golden Beach,Lake Worth, Palm Beach,Fort Lauderdale,Coopet City, Key West and Miami Cadillac Escalate rental. Cheap party bus for birthdays 8 - 15 Passenger Sprinter Van Limo Rental: We provide with the luxurious scale, corporate van,a black car sedan towncar and executive car service for Aventura, Big Coppitt Key, Big Pine Key, Duck Key, Key Largo, Lantana,Isla Morada, Key Colony Beach, Weston, West Palm Beach, Jupiter,Key Largo and Marathon. The Casual Route in The Town Car Hire Livery. A Waldorf Astoria Resort Boca Town car, car service is typically not much more than a luxurious chauffeured Sedan. It is commonly rented for special occasions such as airport travel, Hotel transfers or business trips.TownCar service in West Palm Beach offers first class airport, Hotels and seaport luxury ground transportation. Our preferred Hotel vendors. 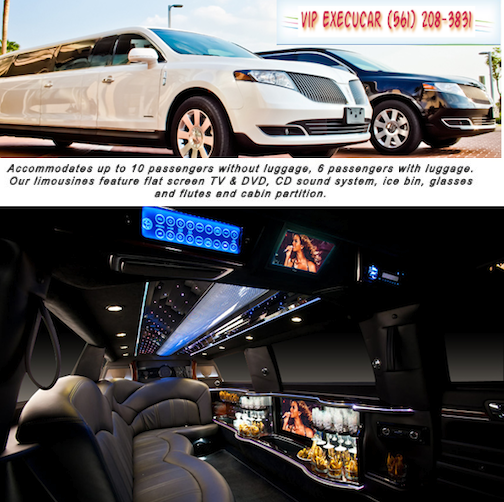 Welcome Lincoln Town Car Limo Service : Lincoln Town Car Limo service in Fort Lauderdale, Miami, is a full-size luxury sedan. Comfortably seating 2-3 passengers with normal luggage, it's a magnificent car with premium amplified system with cd player, leather seating and heat seats, they are perfect for airport service, tours, cruise, wedding, night out, business transportation and luxury vans. Orlando Limo & Sedan Service provides luxury shuttle vans. We specialize in corporate business travel, weddings, proms, birthdays and more. 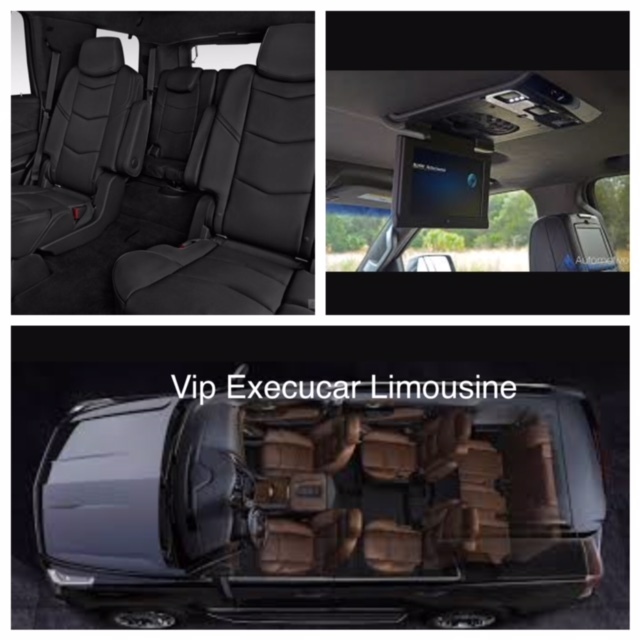 We feature luxury S550 Mercedes sedans and the Sprinter 10-16 passengers. Naples Airport Limo service transportation company featuring local reliable Sprinter Limo service, Charter, Luxury Vehicle,Corporate travel van service, from/to Naples, Orlando, Tampa,Port Canaveral, Naples, airport and seaport transfers. Ask us about our Orlando Luxury Sprinter van rental or Corporate Van service from airport of Naples Florida, Marco Island, Cape Coral to surrounding areas is amazing. Our specialty is Town Car service to and from Naples - Marco Island from the Airport are among the most affordable in the Naples Florida metropolitan area. Welcome to our worldwide computerized reservation system can handle your car services need across the USA and over 500 airports worldwide. So no matter where you are in Boca Raton or Japan, you can call anytime Vip execucar for prompt and reliable luxury service. Perfect for most couples, the 3-Hour (Monday thru Thursday) Wedding Package takes away the stress of driving. This Wedding package typically allows enough time to transport the bride and groom to the ceremony separately and then to the reception. Additional hours are available. The limousine will arrive stocked with bottled water, ice, champagne and champagne glasses. 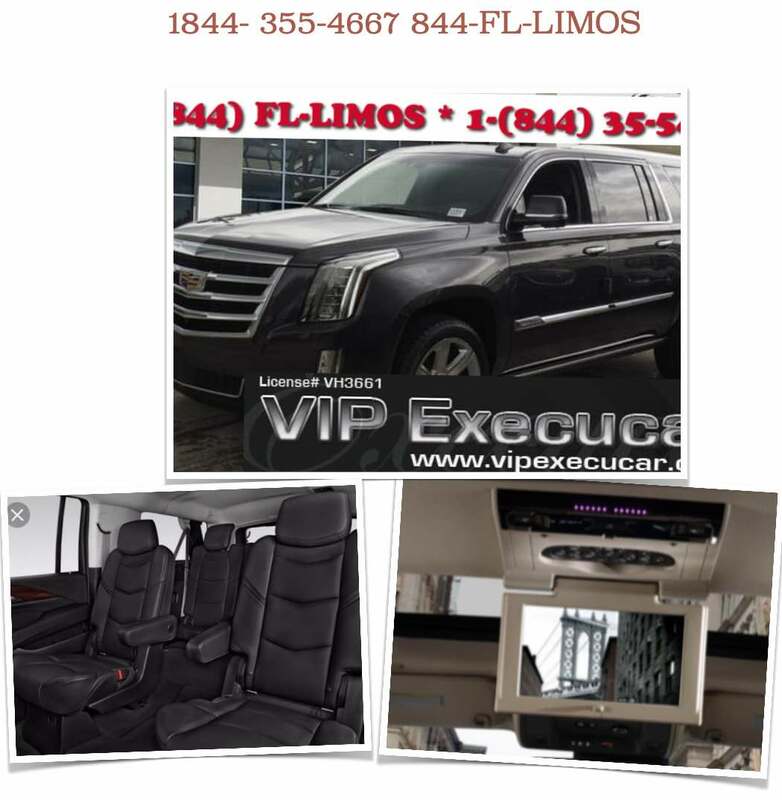 VIP Execucar Limousine & Shuttle Vans provides our award-winning Chevy Suburban SUV's, Cadillac Escalade ESV - Stretch & Hummer limos in Naples, Key West, Orlando, Miami, Fort Lauderdale, West Palm Beach for an executive meeting, Charter service for a convention, corporate events and Fort Lauderdale Limo Suburban. 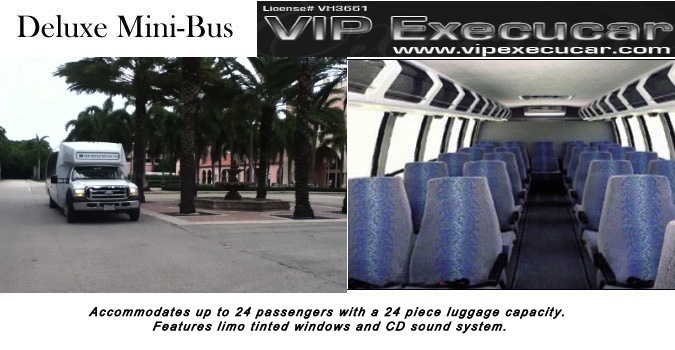 Vip Execucar Cheap Party Bus Rental Fort Lauderdale provide great bus prices from-To Boca Raton, Fort Lauderdale, Miami and West Palm Beach Fl.Party Limo has the perfect luxury corporate van for your wedding, prom and bachelor party Limo.Find, read reviews, car reviews,compare style, luxury,rental prices and rent a luxurious Mercedes-Benz in Boca Raton FL. If you are seeking a Mercedes Benz Exotic rental in the South Florida , Mercedes Benz West Palm or Mercedes Benz Fort Lauderdale area, our S 550 rental may be for you. luxury, style and safety. Party Bus Orlando & Party Bus Rentals "MCO"
Party Bus Miami & Party Bus Rentals "MIA"
Party Bus Fort Lauderdale & Party Bus Rental "FLL"
Party Bus West Palm Beach & Party Bus Rental "PBI"
Party Bus Naples & Party Bus Rental "APS"
When it comes to rent our 2017 Mercedes Benz party bus florida & Airport Luxury Mercedes Benz E350 in West Palm Beach & Fort Lauderdale turn to Vip Execucar for Vip Executives Mercedes Benz. Shuttle private Car Service and Boca Raton FL airport Limousine to and from all towns of FL to Palm Beach Airport 7/365 days is the leading company of the airport transport in Miami,South Florida's cities;Trusty, Punctual South Florida transportation for Port of Everglades, Port of Miami, Miami International Airport (MIA), Aventura, South Beach, Fort Lauderdale Hollywood International Airport (FLL), Ft Lauderdale, Boca Grande Palm Beach International Airport (PBI). Airport Shuttle | Airport Shuttle Miami,FL | Airport Shuttle Fort Lauderdale,FL | Palm Beach Airport Transportation. Miami International Airport Limo Require to make prearranged plans for limo services as well authorize to provide service at Miami International Airport, please refer to the Ground Transportation Service List (PDF) with VIP EXECUCAR a least one hour before you arrived at the airport. Book online and save for : Limo & Car service, Shuttle's private car Service, for a sedan from the airport area to to Downton Miami, Naples, West Palm Beach and Fort Lauderdale Airport shuttle & Executive Car Service. VIP-EXECUCAR Executive Transportation offers limousine service in Miami-Dade MIA, Broward County FLL, Port of Miami-Cruise Terminals - Seaport Miami -Dade County,Palm Beach PBI, Indian River County and more. 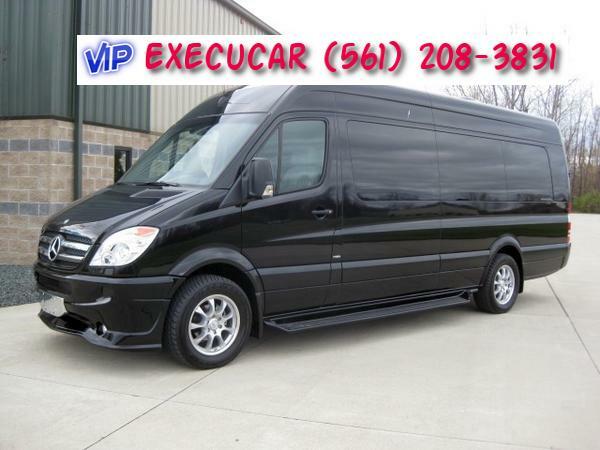 $150 Sprinter Limo Hourly minimun 5 hours.